Want to learn how you can use Instagram as a tool for your business? * Post frequently – but do not spam your friends feeds. 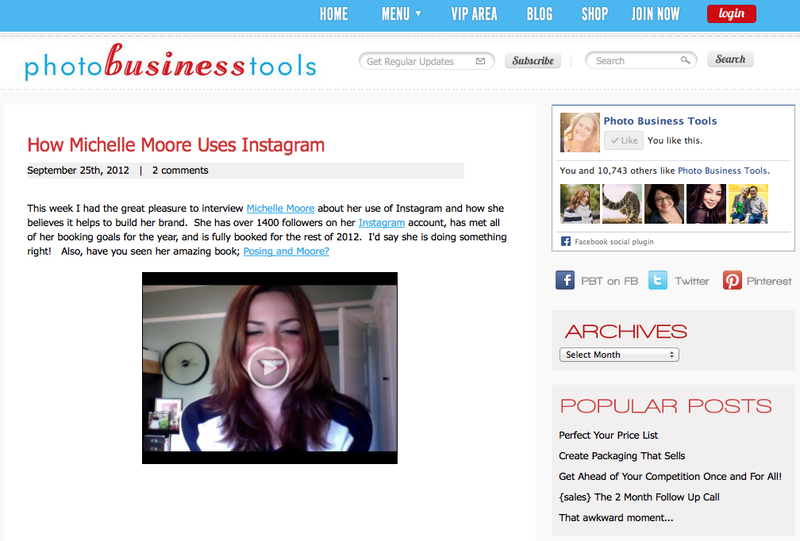 You can also watch my interview with Photo Business Tools about how I use Instagram for more tips and ideas!! © 2019 Michelle Moore All Rights Reserved.